Cyclists could be banned from a stretching of road regarded by some as the “the jewel in the crown” of hour trial racing. Highways England has applied for a Traffic Regulation Order to stop cyclists using the A63 between Hull and North Cave over safety concerns. The road forms part of the v718 day trial course, a 10 -mile route seen as one of the fastest in the country. 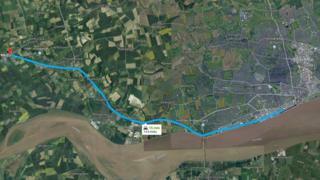 Humberside Police says it will back Highways England’s application. 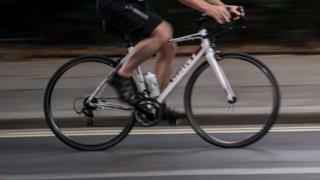 Highways England said there had been six collisions involving cyclists in the past five years, including one fatal collision. It says it is seeking the ban “in the interests of road safety”. Cyclists are forbidden from utilizing motorways and stretches of the A1 where it is deemed to be a motorway or where there are roadworks. A similar bans also exits on stretchings of the A19 in Teesside. Cyclist and bike shop proprietor Ed Neilson said the v718 course, which operates between North Cave and North Ferriby, is popular with riders from across the UK. 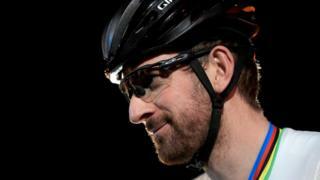 In 2015 Sir Bradley Wiggins rode the course in an attempt to set a new British 10 -mile record. “People travel from all over the country to this course, it really is the jewel in the crown of British time trialling, ” he said. He said it brought “business in” and was “part of the community and it’s part of cycling history and it truly does need to be defended”. He said he believed the stretching of road was “pretty safe”, adding that over the same five-year period there had been “2 71 car accidents with four fatalities”. PC Darren Storr, from Humberside Police’s Traffic Management Unit, said the stretching of road was “not deemed to be a safe and appropriate environment for such activities to take place”. The deadline for objections is 19 February.